We have a well-stocked store from the smallest to the biggest item. No repair is too big and no part is too small. We have a full line of RV Parts & Accessories in our well-stocked store from the smallest to the biggest item. Travco will go the extra distance to help out and make our Customers feel welcome while they are in our repair shop. 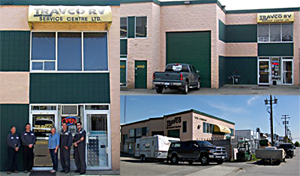 Travco RV Service Centre is located in Beautiful Burnaby, British Columbia, Canada.